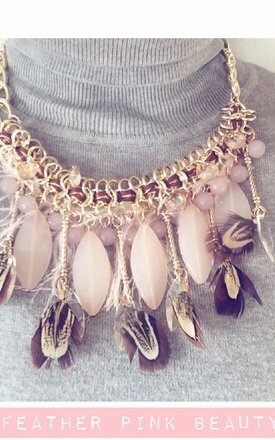 A Beautiful new season necklace to our collection. 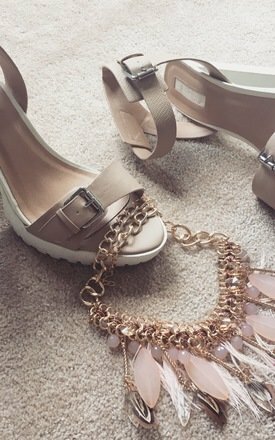 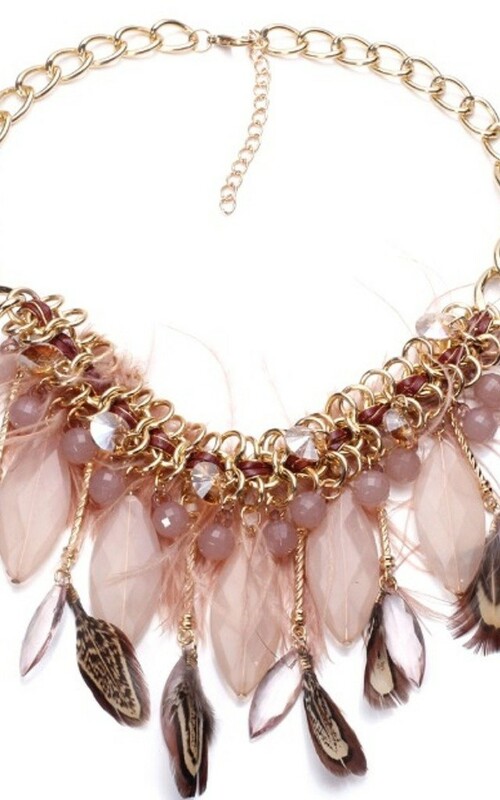 A gold strong adjustable chain with pink and brown natural feathers with gem stones and diamantes. A serious eye catching statement necklace!